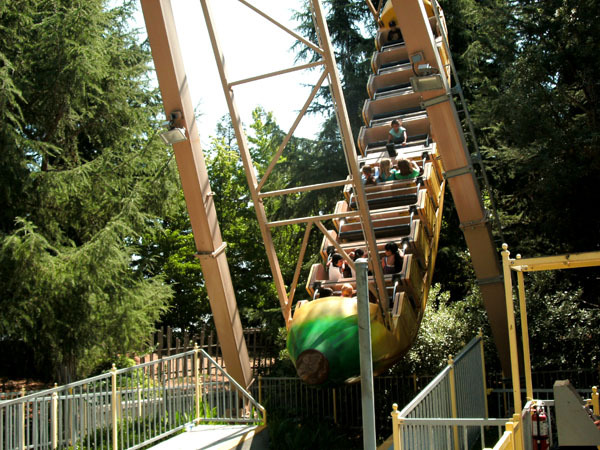 Gilroy Gardens is a park you would be proud to take your parents to. 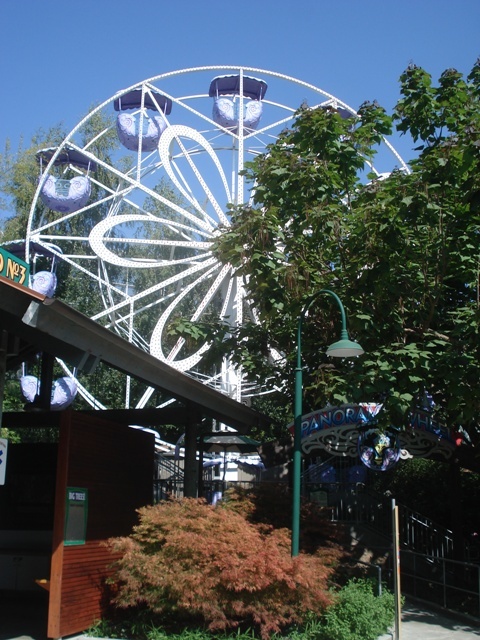 The Bonfante family created this combination amusement park / horticultural center concept over a decade before opening to the public in 2001. 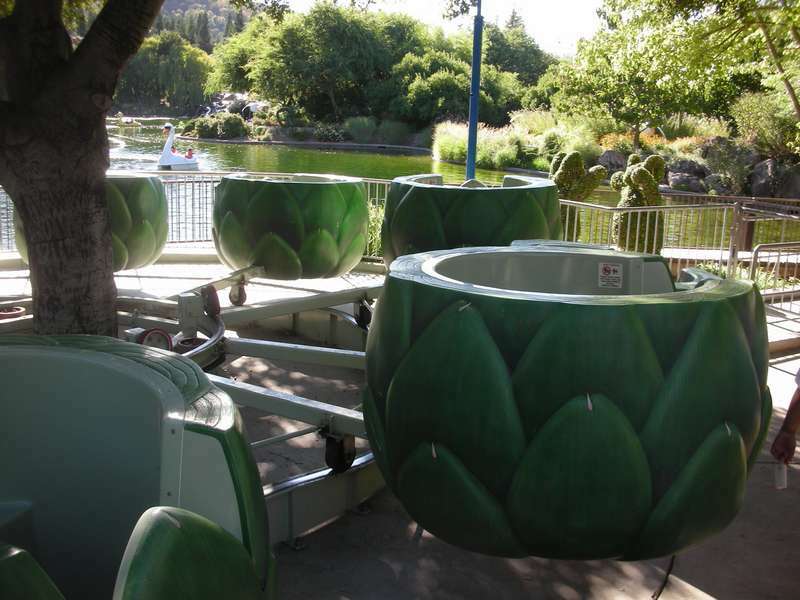 Many of the parks rides are themed to the local produce grown in the area. Castroville Corners serves the local delicacy GARLIC FRIES, along with other products fresh from the surroundings. 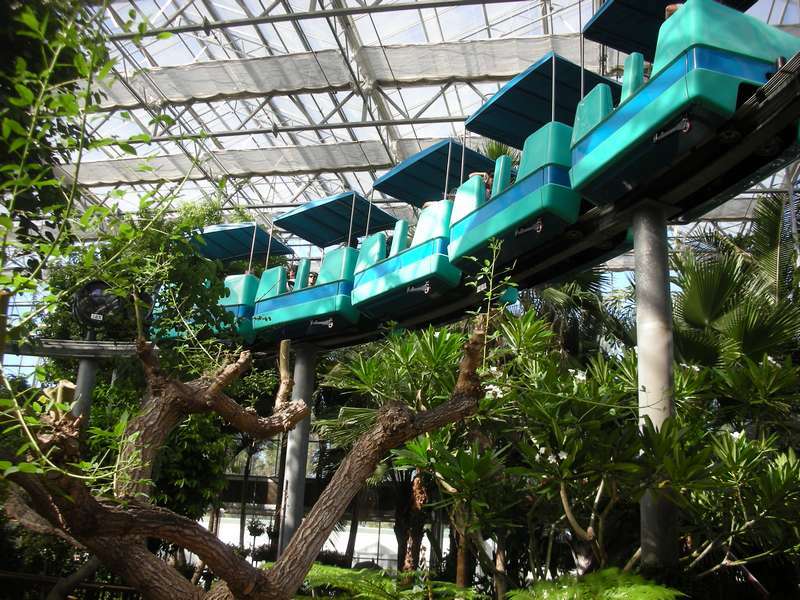 The park is well shaded and the Monarch Butterfly exhibit and Majestic Gardens are examples of why the park can be enjoyed by visitors of all ages. 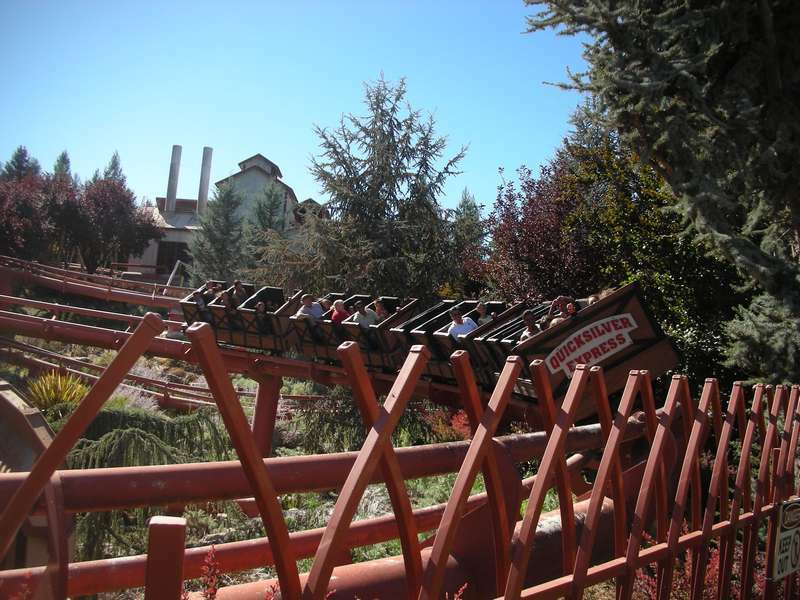 Gilroy Gardens has the most beautiful scenery of any park I have ever visited. Although this park is not terrific if all you are interested in is coasters, it is definitely worth a visit. 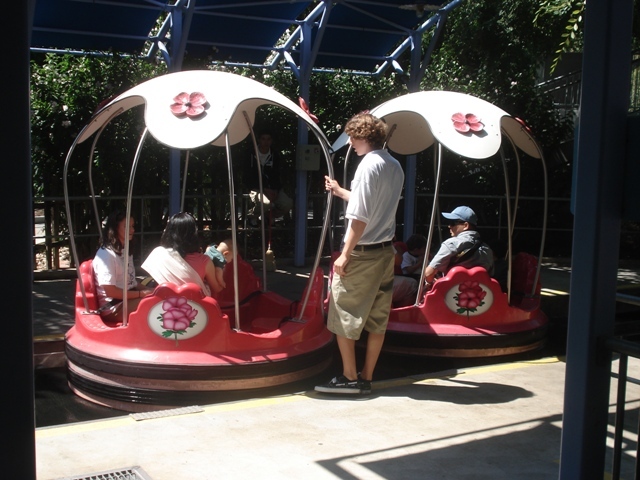 Quicksilver Express is a relatively well themed ride and is worth riding if you are nearby. Where this park definitely excels is in it's flat rides for younger children and great garden mazes. This is a very nice park for families with young children, with its beautiful grounds and mild attractions, including two roller coasters. Teenagers will probably be bored quickly, though. 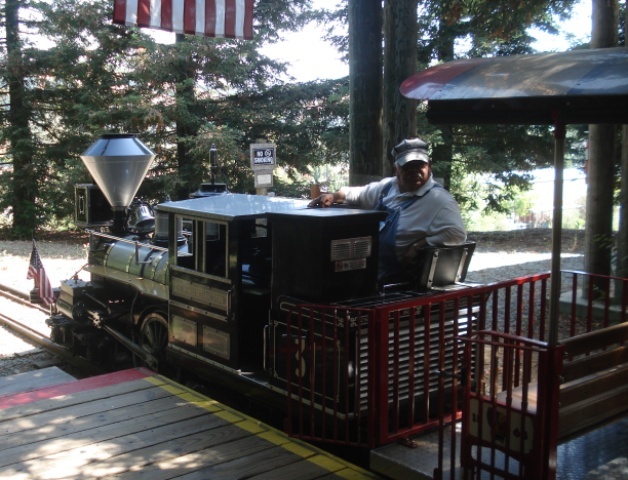 The park's standout rides are Quicksilver Express, a mine-train coaster, and the South County Backroads Garden, one of the best car rides around (nicely themed with a few surprises). 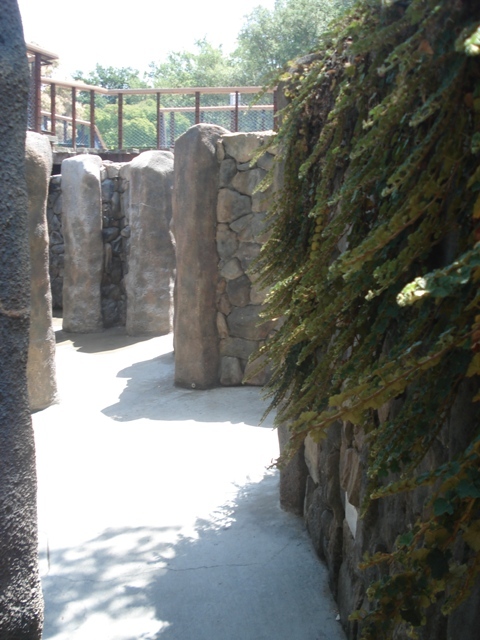 The Pinnacles Rock Maze is another unusual attraction that shouldn't be missed. 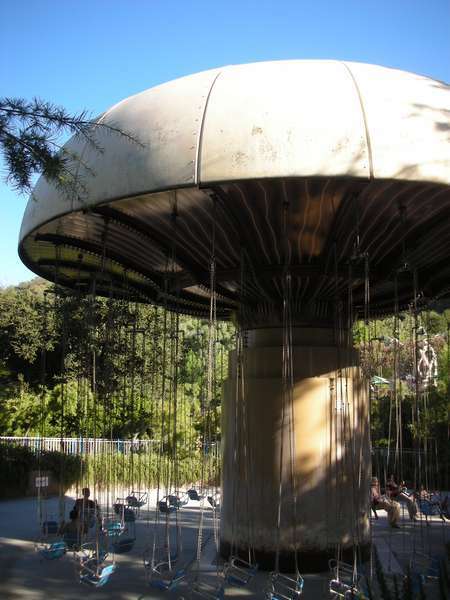 This park would be a nice sidetrip for a visit to Santa Cruz or the Monterey/Carmel area. 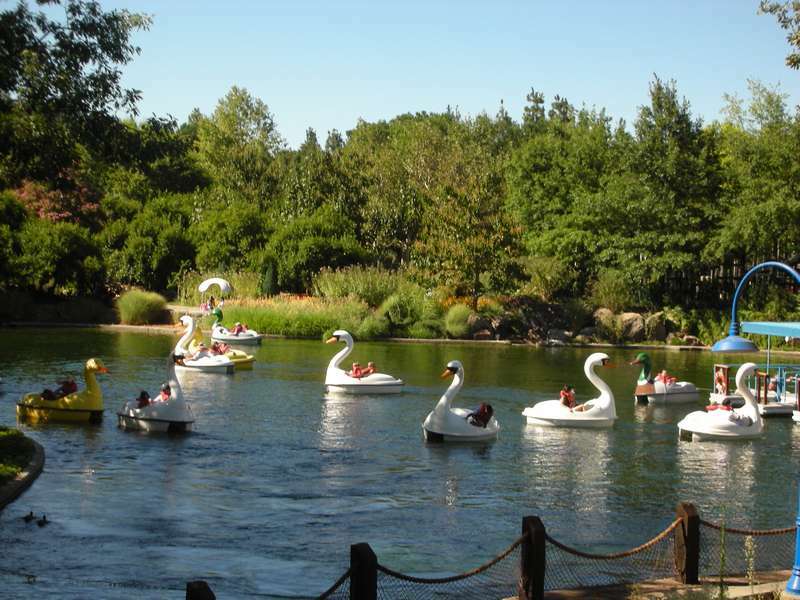 Beautiful gardens and scenic ponds are spread throughout this charming little park,with the rides nestled among them. The rides-talk about unique! Garlic Twirl and Artichoke Dip give you an idea of what to expect.And yet the themes are executed so beautifully! 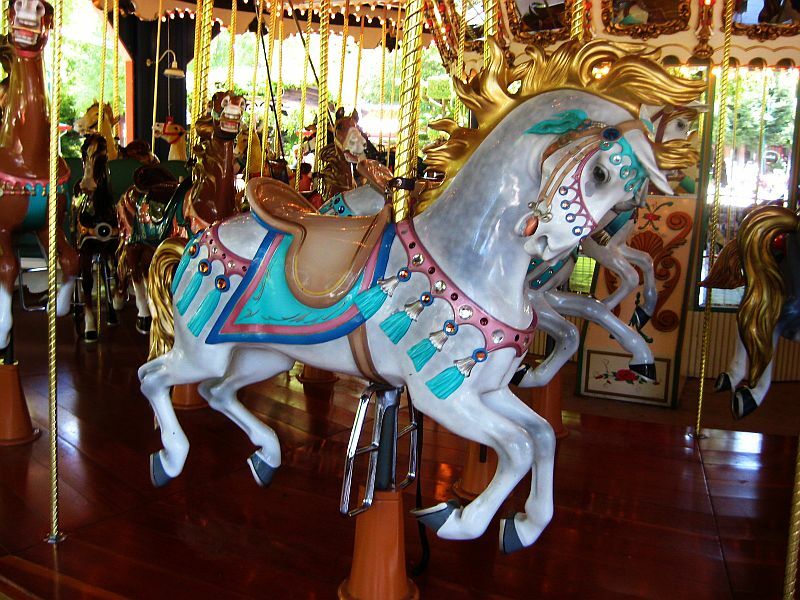 The ferris wheel is cute enough to hug, and the carousel is truly a work of art. 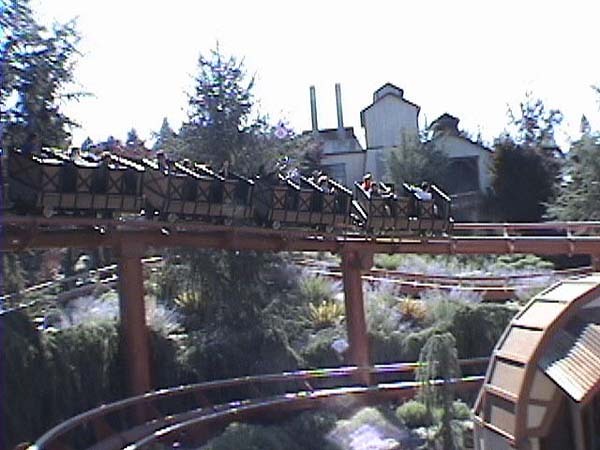 You may even be surprised - Banana Split is quite thrilling, and the mine train is one of the best you'll ride. They should rename this place CharmLand. 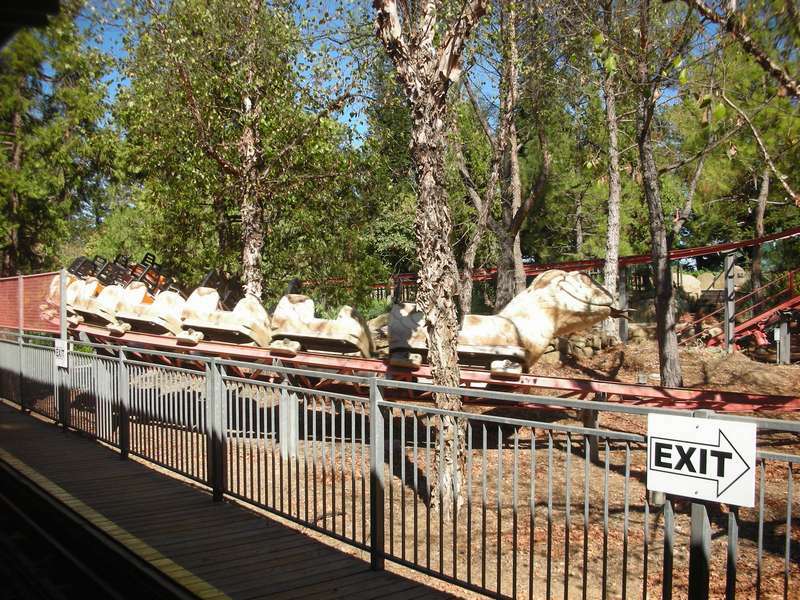 Gilroy Gardens is a park that many people do not know about. It is not easy to find, as it isn't visible from the freeway and the sinage to the park isn't that great. 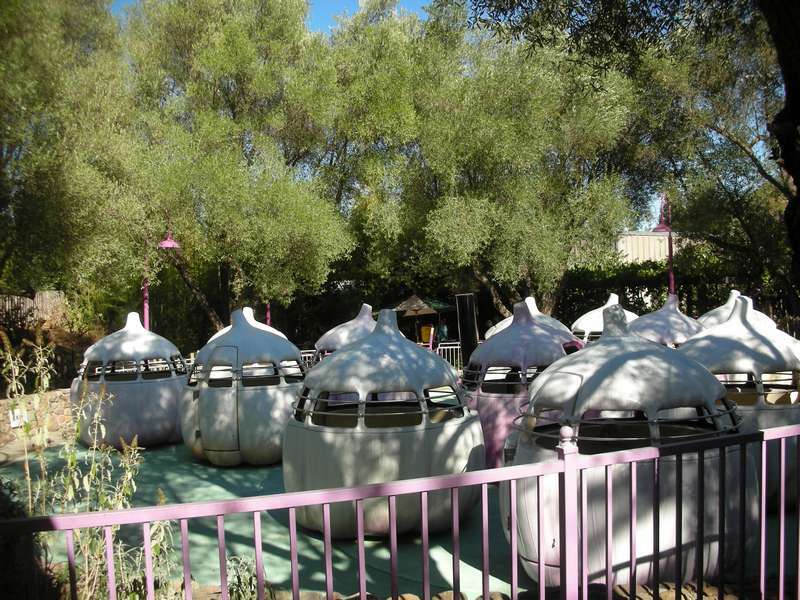 Although the park is small and doesn't really have any thrill rides, it is a great little park. The landscaping alone makes it worth a visit, as you could spend a good part of the day just walking through the various gardens scattered around the park. The best part about this park is the landscaping. An incredibly beautiful park. 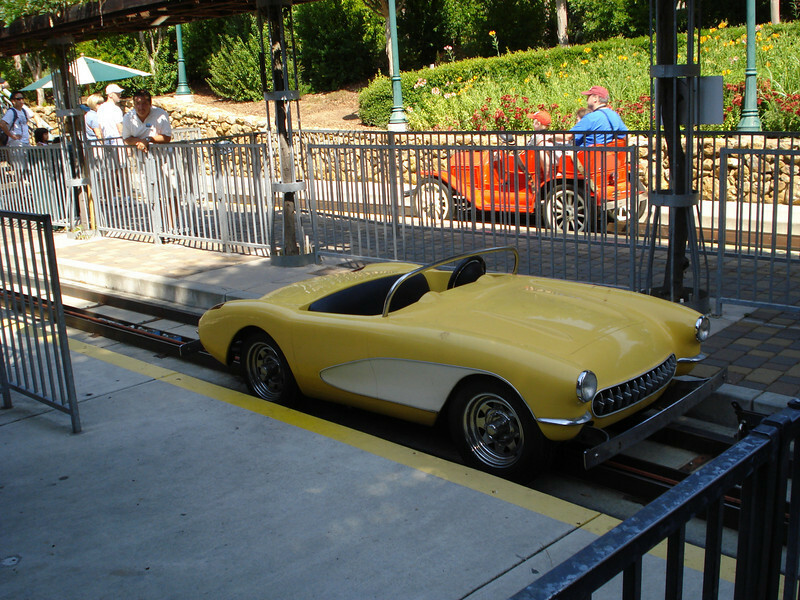 This is definitely a parked geared for kids and families, but there are still some fun rides. Another plus of the park is the food. Since it is in Gilroy, the garlic capitol of the world, there are a lot of delicious garlic inspired dishes!